We at Bill Hill would like to thank Digital Sales for their very kind €100 donation which will go a long way towards helping with our future website costs and our funding of competition prizes for many aspects of our divilment! 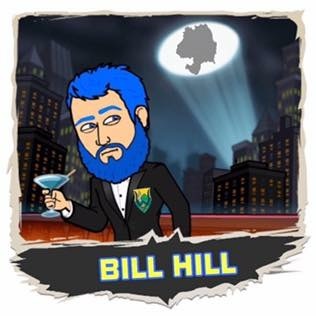 We set up a Go Fund Me Page aimed to try and cover a portion of our Website fees and placed it on the website but we are reluctant to share it outside of the widget on our website as there are far more deserving causes for peoples financial support out there, but due to the nature of how quickly Bill Hill’s Blue Beard has spread about the county and tickled so many of you, the need to fund our website fees and other such costs has came as a bit of a hit to our pockets. We can live with being a little out of pocket as it all goes to Wicklow Sport but with your help we can continue to do our divilment without incurring huge personal costs and Bill will never have to go down the route of hooking up with a Greystones Sugar Mama even though that may ultimately be a most pleasant experience! Being the average Joe Soaps that we are and without a Cavan mans Communion money to sustain it, our Website and Competitions have and will come with significant costs in future years. As like so many of the people who volunteer their time to their clubs and the many great people who contribute information to Bill Hill, we give up our free time most evenings and weekends to bring you as much Wicklow Sporting Content and Promotion of Wicklow as we possibly can and we do all this as proud Wicklow People and Proud Wicklow fans, so it is very much a joy to see how much it has grown in a such a short period of time and we hope we have provided a few giggles along the way. Our aim is to put a smile on peoples face and to get people more involved with Sport in the Garden County and instill a sense of pride back in our County. We aim to try and better our standard and better improve our interaction with local clubs and also to get Wicklow Business to invest into Wicklow Sport while encouraging people to give back to these businesses. We have had many great business people contact us to donate prizes to our Top Scorers Competitions and many other events and we are extremely grateful to them all as these prizes all go straight to Wicklow Sporting People and also serve as a way of highlighting the amazing businesses and amenities that are right here on our doorstep. Not only have Digital Sales donated €100, they have also offered to provide hosting (including email and support) for Bill Hills website for up to five years which will help with our ongoing costs. Behind every great business there are great people and Digital Sales is no different in this regard as they boast one of County Wicklow’s finest sons at their core. Diarmuid Haughian the well-known GAA player from Kilbride GAA Club (now Kilbride/Lacken), is one of the great people behind www.DigitalSales.ie and is a man you should get in touch for all your Digital Marketing needs and you can find the range of services that Digital Sales provide below. Digital Sales are a digital marketing agency with a real focus on sales and lead generation. At Digital Sales we build cutting edge technology applying real innovation to digital marketing solutions, solutions that provides tangible value and generate real ‘return on investment’ for our clients. Digital Marketing, SEO, PPC (Paid Search), Analytics, Social Campaigns, Marketing Automation, Content Marketing, Advertising & Retargeting, Web Design & Development, User Experience, Creative Development, Ecommerce Development, Software & App Development.